Let’s face it, no matter what smartphone or super smartphone you get, you’re limited by battery more than anything else. The phones have come a long way with iPhone 5, Lumia 920 lasting at least the best part of a day, with Wi-Fi, 4G, streaming, 10-11 hours of the battery-life is reasonable and the best case scenario. 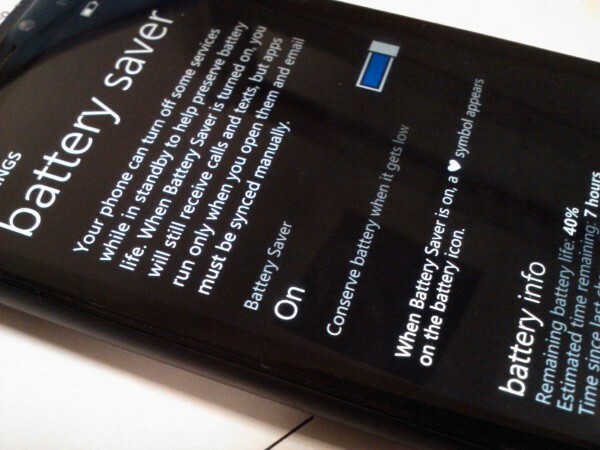 Microsoft’s Windows Phone came out with a Battery Saver feature that would turn off background processes, email checks, location services, etc. once the battery reaches 20%. It’s effective. There are times when I simply turn it ON when I know I won’t have access to a charger for more than 10 hours. It works. But that’s a very straightforward implementation, these are smartphones we’re talking about. They should be smarter than a simple 20% if/else. The engineers at Microsoft seem to be working on something that is. Every user has different use-patterns; I, for example, keep my data plan OFF most of the time, saves me battery & makes sure I don’t exceed 200MB in a month. 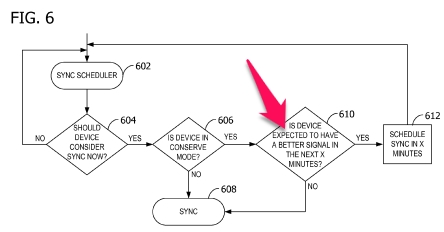 The patent filing reveals an basic flowchart of tracking use-patterns and use this data to preserve device battery. These are simple parameters since they’re pretty obvious in thought. PS: This feature’s usefulness extends to tablets too.